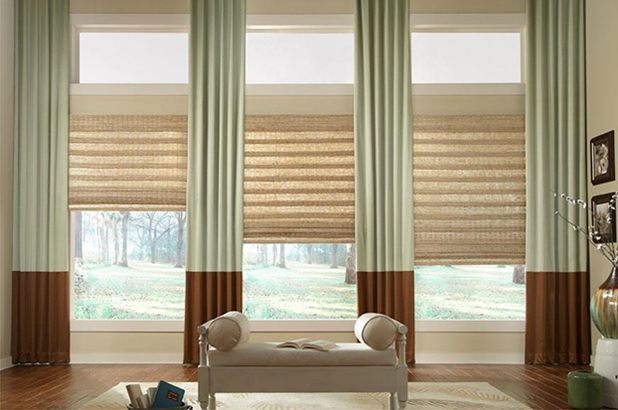 Woven Roman Shades - by Exciting Windows! The color blocked drapery panels offer a designer look for this open sitting room. The natural light enters and disperses through the top windows, as the hobbled pleat roman shades offer levels of privacy and light control. The woven roman shades offer natural harmony and sophisticated contrast with the texture of natural fibers and the smooth flow of drapery panels. Let us help you personalize your home today!